El Tango di Roxanne, The Tango Maureen, Assassin’s Tango… all particular moments in on-screen stories that I feel express so much emotion: anger, pain, frustration, doubts and above all love… These were my initial encounters with the world of tango. One day “learn to dance” ended up on my bucket list and I never thought the dance would be tango. From a dance workshop I tried out a few basic steps and I was fascinated….and then came the experience of starting to learn tango. An experience that I never expected to be so multi-faceted: far from being just about tecnica, steps and movements. I feel there are other levels to it… making connections and finding my own space, learning to follow a lead and not necessarily always lead others, and the challenge to stay, be truly present in the here and now and enjoy the gift of the moment of dance. 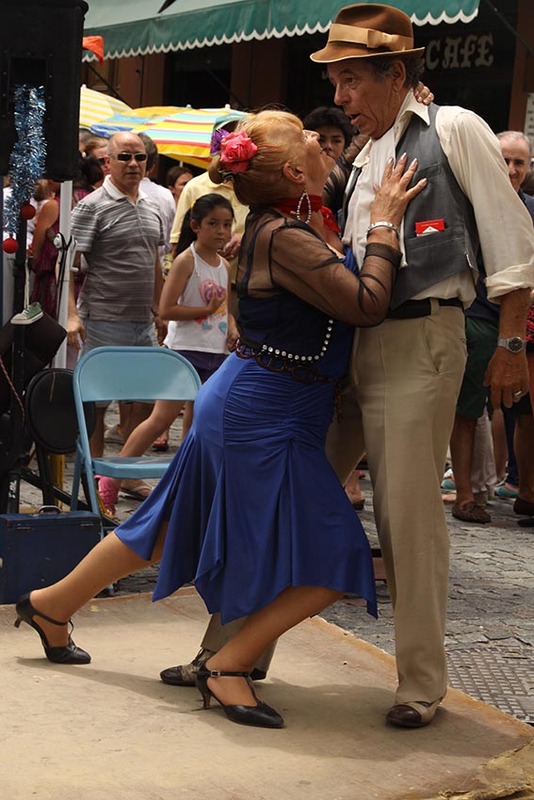 Some thoughts about Tango by Theresa Zammit Lupi. There’s an uplifting feeling about dancing which I never thought I would ever experience until I started tango! 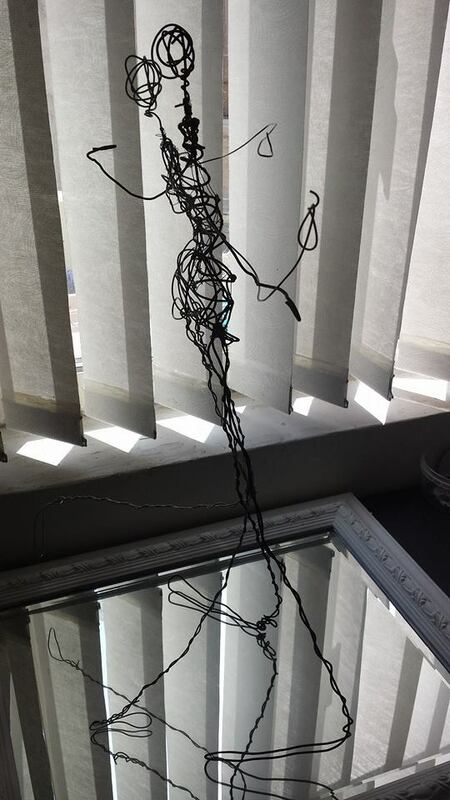 There was another side of me hidden somewhere for many years that has come forward through dancing. In a way it’s been a surprise! Of course I’ve got a long way to go but with the dedication and patience of my wonderful instructors Natalie and Aldo, I know I’ll get there one day. For those who have never danced before: Try it! – it’s a stress releaser, it triggers laughter and fun, and nourishes the soul. A big smile opened my face and a whoopee of glee gargled in my throat. I felt warmth in my heart knowing that another lady has persevered long enough to feel the joy of tango. A quick pat on my back to keep us working on bridging the first faltering steps of tango to the discovery of the elisir. Keep on tangoing tanguera X. During my stay in Malta with the intention to improve my English I was able to acquire another language. I’m talking about the Language of Tango, which is used in many countries of the world, even in Malta. I started learning and dancing Tango a few months ago. I think I’m more ambitious than talented. Therefore I try to take it seriously and improve myself as much as I can. Before travelling to Malta I thought: On the one hand, it would be good to take a break and focus all my energy on English, on the other hand the idea of living for two weeks without Tango wasn’t very tempting. In the end passion prevailed. While searching for opportunities to take Tango lessons, I got to know NatAldo (Natalie & Aldo), a lovely couple. I’m not generally superstitious, but sometimes I believe in destiny. During these two weeks they generously spent time with me, showed me many basic elements and ideas about Tango and corrected me very patiently. 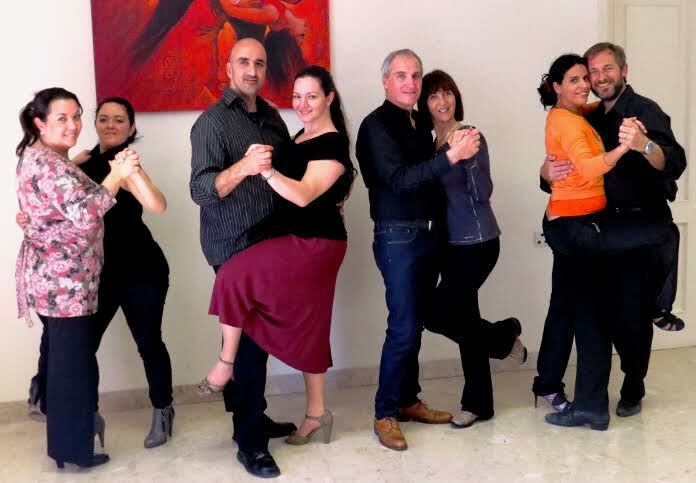 I could take part in Tango classes, where I got to know nice people, some of Maltese mentality, and learned how important it is to dance with different Tangueras. I was also introduced to my first Milonga by NatAldo. I can remember telling Natalie, I would come to the Milonga to watch the dancers. She promptly gave me stern look and said: “Forget it, you have to dance!” And so I did. It was a nice experience. I enjoyed the atmosphere and talking to people, who share the same passion. However I think NatAldo opened my eyes to things, which will stay with me: Give your partner enough time to finish the dance-moves, lead her clearly, be straight and last but not least, keep the frame. Unfortunately because I had to go back to Germany I missed the Workshop with Eric Jorissen. Nevertheless, this experience has meant for me much more than Tango. I was lucky to be at right place at right time and meet people, who I would like to see again, wherever it might be. 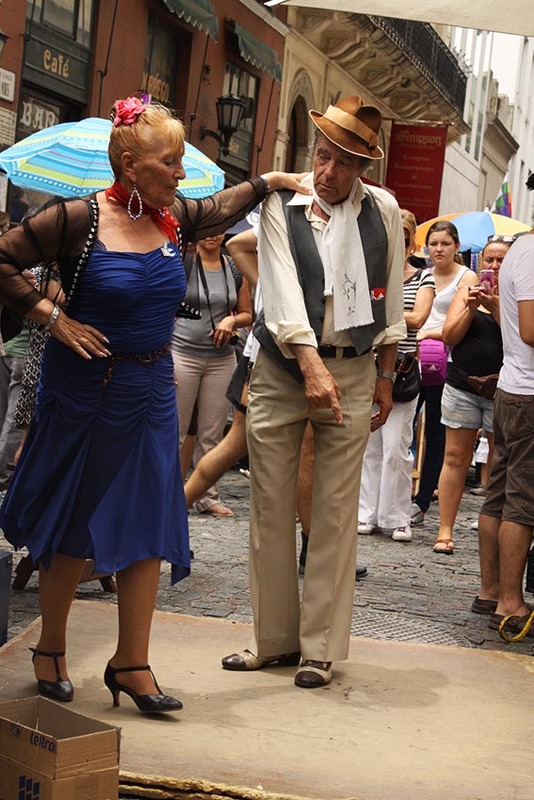 I did not plan to go to Alchemie Tango Festival in Prague, but I had met a tanguera a couple of months earlier in Prague and we had made a great connection, one of the joys of tango. We danced a tanda and felt that chemistry. It is like love, you recognise the chemistry when it happens, it is different. If you don’t feel it, then you made another normal connection. The more partners you dance with, the more it happens. It is not about spoken language, she hardly speaks English. Back to the story, my flight was booked to Wroclaw Poland, with two weeks planned in Warsaw, possible business, and perhaps a milonga on the way in Wroclaw? But Prague is just 4.5 hours away by bus, and Jana told me that she would like to dance one Gala milonga (thanks to FB chat and Translate Google) so we agreed to meet again and go as dance partners to the Gold milonga. Warsaw business plans meanwhile came to nothing, and Jana’s husband persuaded her to take advantage of the festival and dance the Red milonga also. Was I free to partner her? I had booked for two nights at Mosaic Hostel, an amazing place, dance floor, hostel rooms, hotel rooms, all budgets. It was not hard to say yes. My fight to Wroclaw arrived early evening and at midnight I was on the PolskiBus to Prague. Taking the first metro of the morning four stops from Florenc to Karlovo náměstí I I walked though the quiet streets in the early morning mist of autumn, to the hostel. I heard tango music as I entered, and found the last survivors of the White milonga enjoying the after party, dancing, or just propping up the bar, actually the bar was propping them up after so much dancing!. I started talking with some tango dancers at the bar and received an offer to sleep on a sofa couch in their apartment, amazing, as it was only 5 am and I could not check in for another 12 hours. Despite dancing for four years, I had never been to a Festival milonga with a specific dance partner. It was a beautiful new experience. Of course we danced with others, that is the social nature of tango, but it felt very special being there for someone, and having many beautiful dances together. We are suited partners and it became better as we spent more time dancing together. The organisers had done an amazing job to decorate the milonga hall and other areas of the old building to the theme of the evening, Gold – the leaves of autumn, conkers from the horse chestnut tree, ribbons etc. Red milonga, well the place was dripping red, with autumn leaves, articles and lighting, and of course the red clothes or accessories. It was a very different atmosphere from the previous evening but just as special. 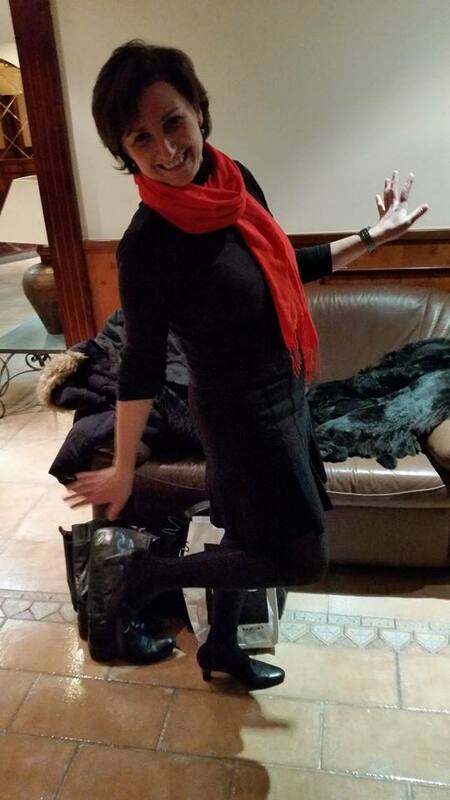 I did not plan for the Red milonga so met up with Jana to search second hand clothes shops, with great success. Not only a red scarf to wear tied round my waist, but a great white shirt too. There were many German dancers amongst the international gathering, three in my clean comfortable hostel room, Boris, Ron and Miriam. We make friendships inside and outside the dance hall. Also meet friends we danced with in other countries before. It is so good to dance with many different partners, leading skills are practiced, some tandas are challenging, but most bring their own rich reward. There is a difference between a polite thank you from a partner, and a heartfelt thank you with added words like “that was very nice”, said with an extra squeeze or a kiss. Each night the after party followed at Mosaic House, and breakfast milongas with excellent optional 6 euro breakfast buffet until 2 pm. It was time to leave but not before a final dance with two of the organising support team, before donning my backpack to start the long bus journey through Poland to Vilnius, Lithuania for the next adventure. The third contribution comes from Roberta Cini who participated in a taster tango class, organised by Sarah Vella for her friends. Tanguero’s American adventure is coming to a close. It has been both unusual and rewarding to have one tango partner to practice with on and off for three weeks. and to go to milongas together – for both of us! Too often we learn something in class (more like taste it), and especially if the class included three variations of that step, followed by four or five other “moves”, the mind is so confused that without “home” practice, hardly any of the experience can be repeated. My partner was giving me excellent feedback, and between us we managed to repeat some of what we learned in class, in the practicas and milongas. By dancing with one partner, we got the feel of each other better, and the dance flowed, especially in vals and milonga. We tried not to miss those. We still allowed 50% of tandas with other partners, so meet other locals too. My partner normally stays away from milongas, in case she is not invited to dance. It was intensive for her, and she was pleased to be told her dancing had improved. Hopefully now, the partners who danced with her when we went together, will ask her again. The last milonga was the regular Tuesday night venue of El Méson, bar – restaurant, close to the centre of down-town Santa Fe, operated by an migrant from Madrid. The floor is small and gets crowded, but the choice of music is great, and it proved a fun venue for our last evening of dancing together. Chris, an excellent dancer, commented that we must be on our honeymoon!! Well that shows that we made the dance connection not only feel good, but look good too. Adios, Santa Fe, Albuquerque, New Mexico and all the wonderful partners I had the pleasure to meet in classes, practicas and milongs. Hasta la proxima vez 🙂 Quando? No lo se. 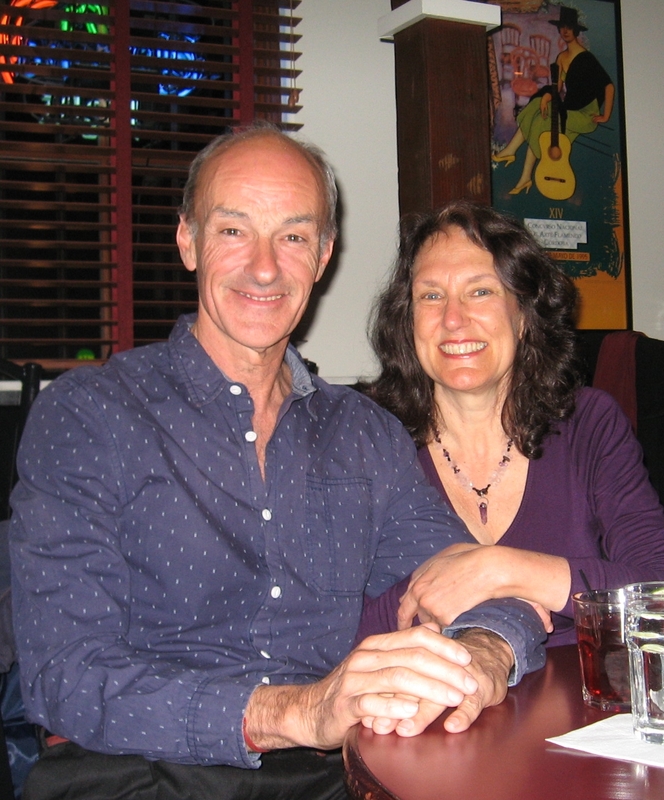 Note: The second contribution comes from dear student and friend David Millner who spends quite a few months a year roaming other countries experiencing new tango connections.